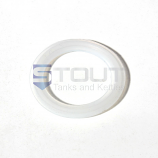 Replacement glass for 23-5/8” sight glass assemblies. Borosilicate sight glass tubing, cut to length. OD of tubing = 19 mm. 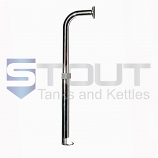 Please measure the sight glass ports on your tank to make sure we send you the correct size tubing! 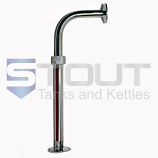 Measure from the TOP of the top tri-clamp ferrule, to the TOP of the bottom tri-clamp ferrule. Please do not measure the glass itself. 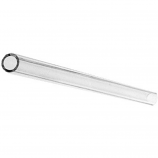 This sight glass tubing will ONLY fit 23-5/8” sight glass assemblies, as measured using the method above.